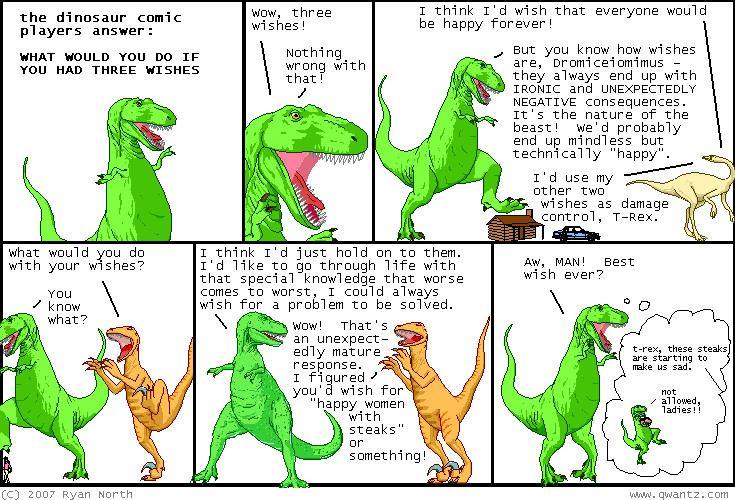 Dinosaur Comics - June 27th, 2007 - awesome fun times! He was never there, but just a figment of my ice-cream starved mind. He WAS there, but quickly phased to an alternate universe and right now Alternate Ryan is getting his fridge fixed. Screw you, Alternate Ryan! He was at the wrong address, but the person there needed their fridge fixed too and took advantage of the situation. Screw you, opportunistic dude that fate likes better than me apparently!